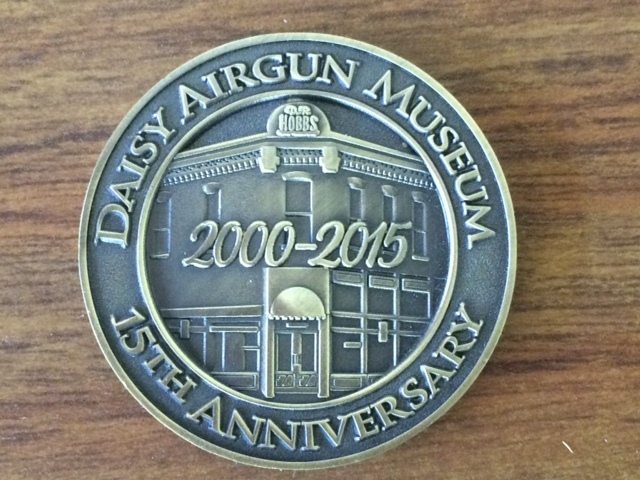 2015 Daisy Museum Collectible Medallion. Since 2000, the Daisy Airgun Museum has come up with a new design for their museum medallion. This year it is the 15th Anniversary of the Historic Downtown Rogers Daisy Airgun Museum. Get one for your collection today!